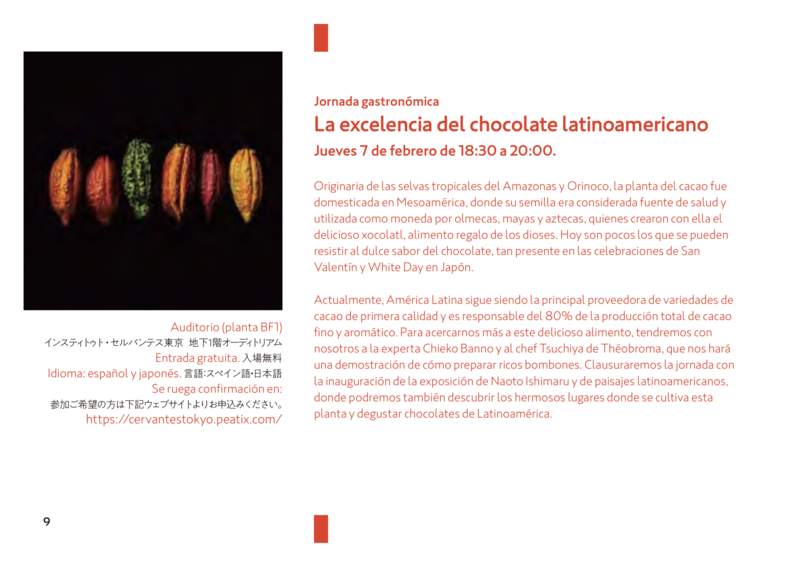 On Thursday February 7 from 18:30 to 20:00, a gastronomical event “La excelencia del chocolate latinoamericano” will be taken place at Institute Cervantes Tokyo. 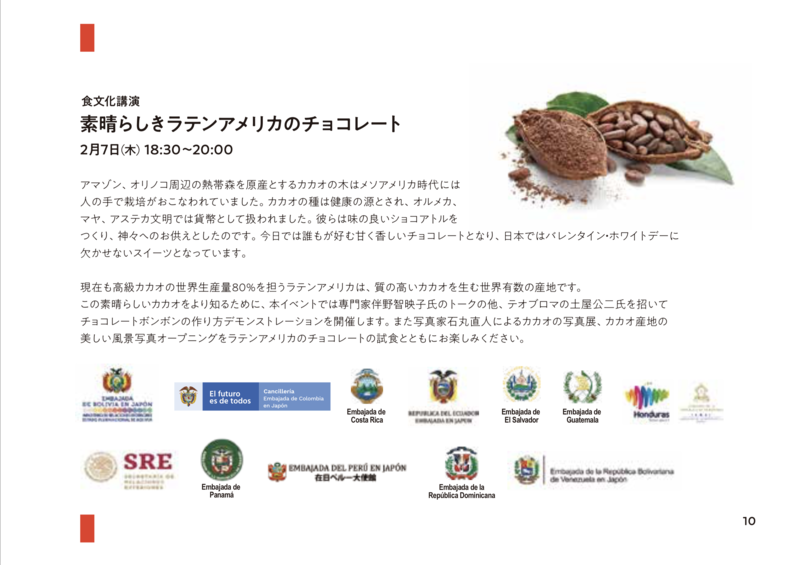 Embassy of Panama will be participating in this event, where you can enjoy the Panamanian chocolate, as well as gran variety of chocolate from latinoamerican region. The entrance will be free with pre-reservation through the website of Institute Cervantes Tokyo (https://cervantestokyo.peatix.com/). This entry was posted on Tuesday, January 29th, 2019 at 2:30 pm and is filed under important-information.You can follow any responses to this entry through the RSS 2.0 feed. Both comments and pings are currently closed. Copyright (C) 2010 EMBASSY OF PANAMA IN JAPAN. All Rights Reserved. Powered by Codia .